The Community of Voices/Comunidad de Voces is a research study that is examining whether singing in a community choir is a cost-effective way to promote health and well-being among culturally diverse older adults. Enrollment is now closed and data analyses are underway. The principal investigator is Julene K Johnson, PhD, a Professor at the UCSF Institute for Health & Aging and UCSF Center for Aging in Diverse Communities. For this cluster-randomized clinical trial study, new choirs for older adults were started in 12 senior centers throughout San Francisco. Participants in the study sang in a choir for one year and completed several health assessments. The Community of Voices/Comunidad de Voces study is a three-way partnership between the University of California San Francisco (UCSF), the San Francisco Community Music Center, and 12 San Francisco Department of Aging and Adult Services (DAAS) senior centers. The study is funded by a grant to UCSF from the National Institute on Aging of the National Institutes of Health (award number R01AG042526). 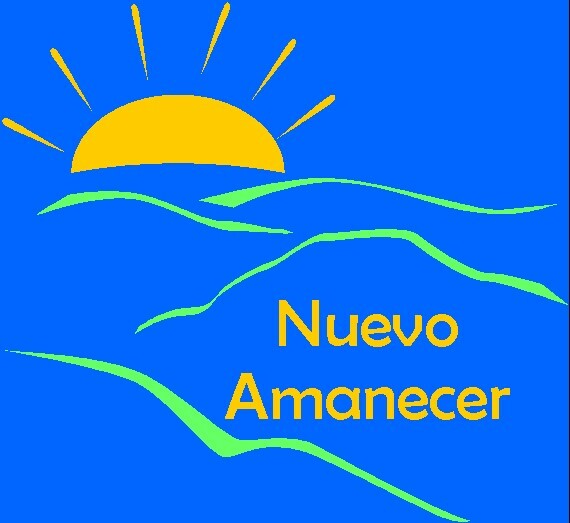 Nuevo Amanecer II is a community-engaged RCT that is testing the effectiveness of an evidence-based stress management program for Spanish-speaking Latina breast cancer survivors living in three rural California communities: Imperial Valley, Visalia, and Watsonville/Salinas. We are enrolling eligible women through approximately March 2018, for this free, 10-week program that is delivered by trained breast cancer survivors in participants’ homes. If you are interested, please contact Jasmine (Spanish-English bilingual) at (855) 755-8273 or at [email protected] . Participants receive up to $100 for completing 3 surveys. This project is supported by funds from the California Breast Cancer Research Grants Program Office of the University of California, Grant Number 21OB-0135 (PI: Anna Nápoles). Live Well, Be Well was a translational research study to evaluate the effectiveness of a community-based lifestyle diabetes risk reduction program designed for lower socioeconomic status, minority, and Spanish-speaking adults at risk of diabetes. The project was a partnership between the University of California San Francisco (UCSF) and the City of Berkeley Division of Public Health (BDPH). The Live Well, Be Well program was evaluated through a 1-year randomized controlled trial by UCSF. The individually-tailored lifestyle program, Live Well, Be Well, is available in English and Spanish and provided education and skills training to improve diet and increase physical activity. The curriculum and health education materials used in the Live Well, Be Well program are available online and include technical assistance to people interested in adapting the program for use in other communities. This project was funded by a translational research grant (R18 DK067896) from the National Institute of Diabetes and Digestive and Kidney Diseases made to Anita Stewart, PhD, PI. Training Latino Caregivers to Promote Aging in Place was a capacity-building demonstration project that provided caregiver training to promote healthy aging in the Latino community by working with community-based organizations on program design and implementation. 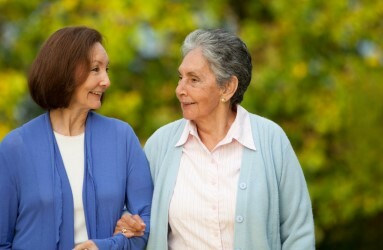 Based on survey data gathered from about 100 community-based organizations serving older diverse adults in Southern and Northern California and input from organizations, the investigators developed 4 caregiver training modules in English and Spanish: Effective Communication and Caregiving; Managing Stress for Caregivers; Legal Planning for Caregivers; and Financial Planning for Caregivers. The team is seeking additional funding to evaluate the effectiveness of the program. This project was funded by Archstone Foundation Grant No. 14-04-62 (Celia Kaplan, PI). CHAMPS (Community Healthy Activities Model Program for Seniors) is a series of interventions to increase physical activity levels of seniors based on substantial evidence that increasing physical activity improves their health and well-being. The programs encourage participants to increase physical activity based on their readiness, preferences, health, and abilities. CHAMPS was developed and evaluated in a mainstream population of older adults. After a demonstration project (CHAMPS I), CHAMPS II was evaluated using a randomized controlled trial in a Medicare HMO setting. It successfully increased physical activity, becoming the first evidence-based intervention of this type. A detailed program manual for CHAMPS II and permission to use these materials is available on the CHAMPS website. CHAMPS III is the first application of the evidence-based program in real-world settings. Translational research methods were used to adapt it to reach low-income primarily African American and Latino communities. The translational process involved working with staff and community members at three community-based settings to adapt CHAMPS to accommodate sites' limited resources, and to be culturally appropriate and sustainable. Always Active (Siempre Activo) is the CHAMPS III program offered at On Lok’s 30th Street Senior Center. That program was delivered in English and Spanish and was sustained through their efforts and ultimately expanded to nine senior centers in San Francisco. This is an example of further translation and dissemination into local community settings.